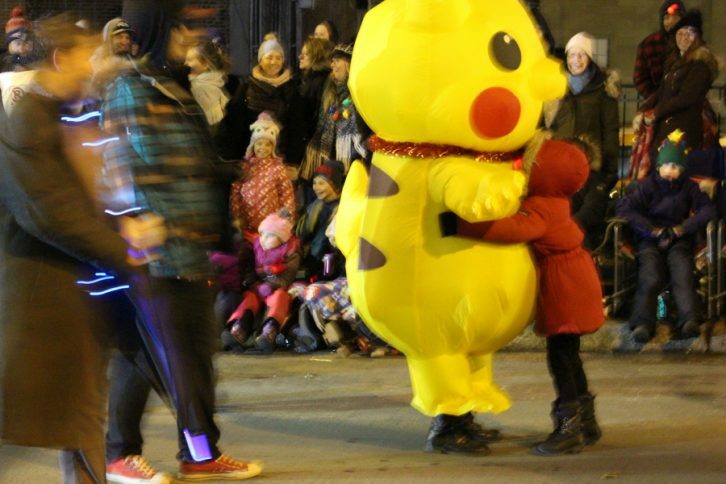 The streets of Halifax were filled with Christmas spirit Saturday, as the 23rd Annual Chronicle Herald Holiday Parade of Lights moved through downtown. People started to show up before 6 p.m. to make sure they had a place in front, as the sidewalks filled up quickly. They kept themselves warm as the temperature went down to 0°C. 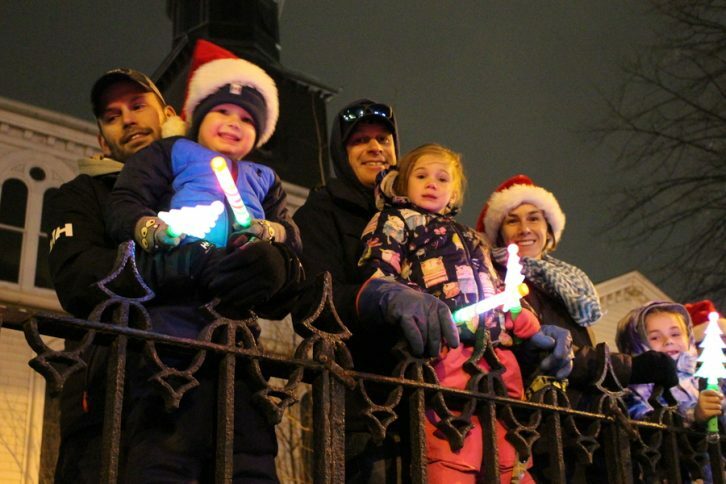 Chris Hanlon, who came with Jackie Grant and their daughter Emma, chose the corner of Spring Garden Road and Barrington Street hoping it would be less crowded. 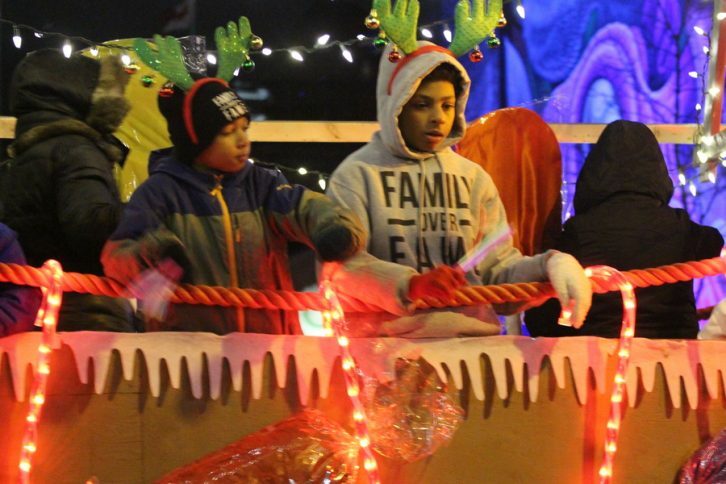 “We came to see the parade; it’s a fun thing for kids to do,” Hanlon said. 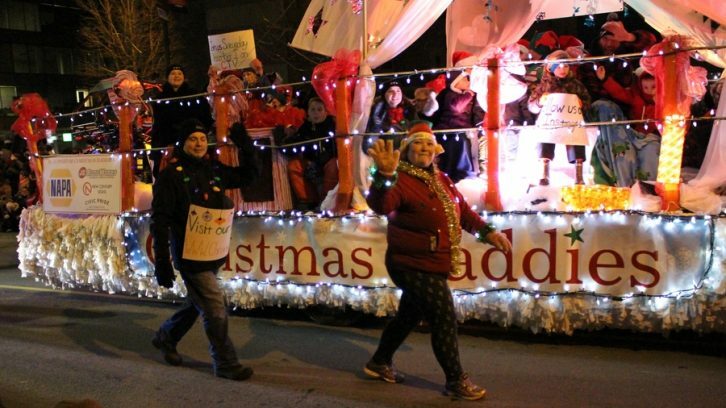 The parade route was 2.5 kilometres and took about two hours to finish. It started at 6 p.m. on Upper Water Street and moved its way to Spring Garden Road, before finishing on University Avenue. There were many floats in the parade. Each had a different theme and music. Donations for various organizations were collected throughout the parade route. Feed Nova Scotia volunteers and Virgin Radio collected money donations, local radio station C100 and Cineplex collected toys and Big Brothers Big Sisters of Greater Halifax collected clothing donations. 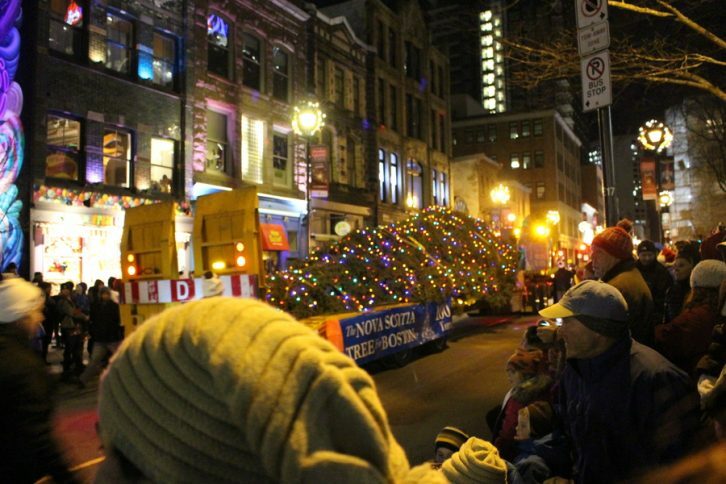 The Nova Scotia Tree for Boston, which is a 14-metre white spruce, also appeared in the parade. For the last few decades, a tree is given to the U.S. city every year for helping during the Halifax Explosion of 1917. 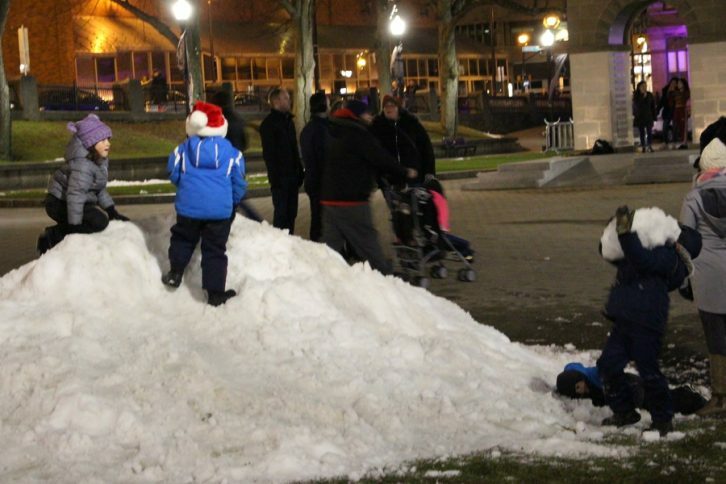 The tree was meant to have its own celebration Friday, but that was cancelled due bad weather.